Thailand’s visa-on-arrival fee waiver for citizens of 20 countries, including China and India, will be extended until April 30. 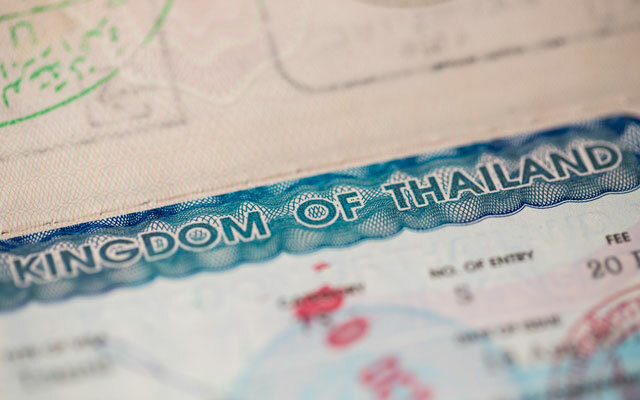 The 2,000 baht (US$63) visa-on-arrival fee exemption applies for those arriving in Thailand for the purpose of touring for not more than 15 days. Yuthasak Supasorn, governor of the Tourism Authority of Thailand, said the continuation of the stimulus measure is timely, with Thailand set to celebrate Chinese New Year in February and the Thai New Year (Songkran) in April. The countries eligible for the visa-on-arrival fee waiver are Andora, Bulgaria, Bhutan, China (including Taiwan), Cyprus, Ethiopia, Fiji, India, Kazakhstan, Latvia, Lithuania, the Maldives, Malta, Mauritius, Papua New Guinea, Romania, San Marino, Saudi Arabia, Ukraine and Uzbekistan.